This is not a book I would have chosen off a book shelf. I was not familiar with the author’s work but it was book of the month at the book group I go to in the village library. 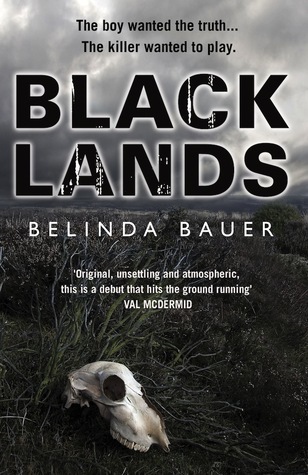 Belinda Bauer won the Crime Writer’s Association 2010 Gold Dagger Award for Blacklands and this debut novel, Blacklands seems to reflect memories and experiences of childhood. 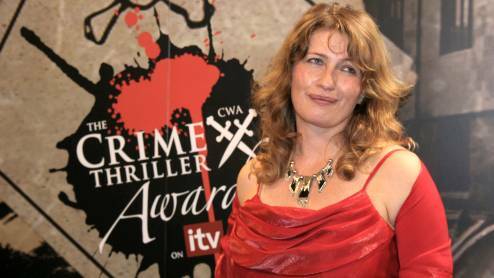 The author was born in the United Kingdom on 1 January, 1962 and grew up in England and South Africa. She has worked as a journalist and screenwriter, and her script The Locker Room earned her the Carl Foreman/BAFTA Award for Young British Screenwriters, an award that was presented to her by Sidney Poitier. Belinda Bauer now lives in Wales. In Blacklands, Billy Peters disappeared years ago. His twelve-year-old nephew, Steven Lamb, digs holes on Exmoor, hoping to find the body. Every day after school, while his classmates swap football stickers, Steven goes digging to lay to rest the ghost of the uncle he never knew, who is assumed to have fallen victim to the notorious serial killer Arnold Avery. Everyone believes Billy was murdered, as the serial killer Arnold Avery admitted killing six other children and burying them on the moor that surrounds the small English village. However, Billy’s mother is convinced he is alive. She stands at the front window, waiting for Billy to return: her remaining family fragments around her. Steven, her twelve-year-old grandson, is determined to heal the cracks that gape between his nan, his mother, his brother, and himself. He desperately wants to bring his family closure, and so he seeks his uncle’s corpse. He spends his spare time digging holes all over the moor in the hope of turning up the body. It is a long shot, but at least it gives his life purpose. When at school, the lesson turns to letter writing, Steven secretly pens a letter to Avery in jail asking for help in finding the body of “W.P.”, William “Billy” Peters. So a dangerous cat-and-mouse game begins. Steven tries to use Avery to pinpoint the grave site but Avery misdirects and teases his correspondent in order to relive his crimes. When Avery finally realizes that the letters he is receiving are from a twelve-year-old boy, suddenly his life has purpose too. A very dangerous purpose. Blacklands is brilliantly paced. The characters are vividly drawn and the story is tight and exciting. I certainly highly recommend this book and plan to read more by Belinda Bauer.